After reading both “A Call of the Wild” and “White Fang”, I had all but written off Jack London. To me, London was an adventure writer who wrote compelling stories with strong themes surrounding human and animal nature. However, there was little that would lead me to classify the works as major forms of classic literature, and I was admittedly surprised to see ‘A Call of the Wild’ on the top 100 of all-time Modern Library list. As I picked up “The Sea-Wolf”, I was expecting a similar tale to the previous two and I had a similar expectation of quality. I was completely wrong, and pleasantly surprised. The “Sea-Wolf” was thrilling and thought provoking, and it’s listing as one of the 100 Greatest Books Ever Written is something I could actually fathom. 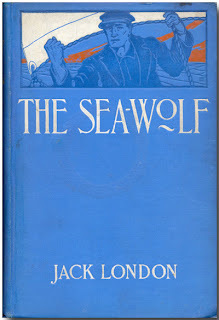 Of the three Jack London books, this was by far my favourite. Right from the opening chapter, I realized that my preconceived notions about this book would be wrong. 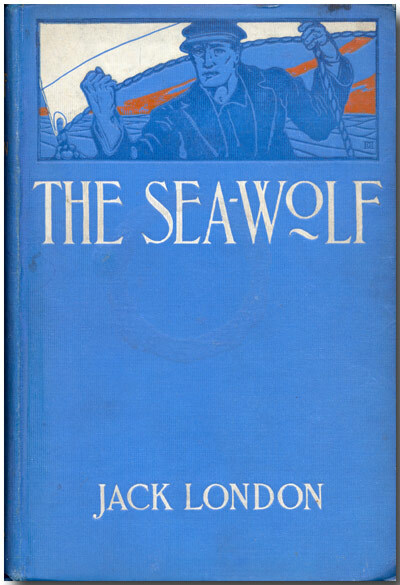 I assume that, like the previous two works, “The Sea-Wolf” would take place from the perspective of a wolf in Alaska or the Yukon during the Gold Rush. I even figured that the wolf would spend time on the sea, which would have been consistent with the other works as well. In this case, the book is named after the captain of the whaling ship “The Ghost”, named Wolf Larsen. The story begins with Humphrey Van Weyden, a bookish 35 year old man, who finds himself floating in the ocean off the shore of California after the ferry he’s travelling on hits another vessel in the middle of a heavy fog. He is picked up by the crew of the Ghost, a small whaling ship, and put to work as a cabin boy - the lowest rank on the vessel. It’s here that Humphrey (often called ‘Hump’), earns his keep and as Wolf puts it – learns to stand on his own two feet. It’s been years since Hump did not live off someone else in his intellectual pursuits, and he is finally utilizing his body to put food in his own stomach. Much of the book chronicles the lives of two men, Wolf Larsen and Humphrey Van Weyden, whose lives become inextricably linked on the Ghost. Wolf Larsen is known as a brute of a man, and all of his crew wants to kill him. His strong intellectual and superhuman physical skills make this task nearly impossible, and he is able to stay steps ahead of his crew on the boat. Punishments levied on the crew vary from minor injuries to vindictive murder, and even the introduction to the Ghost and Wolf Larsen begins with the death of the first mate. Despite this cold lack of humanism, Wolf Larsen is also somewhat of an intellectual. He is constantly reading all subjects and meditating on life theories. And while Hump gets punished for some of his inadequacies, Wolf befriends him and the relationship provides Wolf with the closest thing he has ever had to a friend and alleviates some feelings of loneliness. Despite this, Wolf is still a very crude man and shows no remorse when killing. He believes that the fact that one really lives when they are angry or fearful of death, and he seems to actually enjoy being hated and hunted. Eventually, a woman (Maud) is picked up from a small ship in the middle of a storm. Both Wolf and Hump start to fall in love with her, and it’s at this point that Humphrey truly begins to see the necessity of leaving the ship and taking Maud to safety. Maud is not a fragile woman, and much credit is given to her effect on Humphrey, and his final transformation into a man. I won’t get into the rest of the plot, but I will say that I thought the book would end without Larsen and I was very upset at this. In fact, the very minute when we lost sight of him I started to lose interest in the work. The character was so unique and so interesting that you just wanted to see what would happen next, or hear through his lips the way he was perceiving the world. It’s through him that London explores the nature of man and the animal in man, and it’s through him that Humphrey learns what it is like to be a man – something that he previously thought was through the sole pursuit of knowledge. Some of the themes discussed include the theory of immorality, the concept of living and man’s reactions to the world as a product of either internal/external factors or the spirit/soul. The dialogue made this work very special, not unlike in a strong Hemingway novel (though very different in form). It is really difficult to talk of the dialogue and do it justice, but I have wrote down a few of the quotations that made strong impressions on me. Perhaps they will convince you to pick up this book and judge its merits for yourself. “And he has never philosophized on life,” I added. I just started reading The Sea Wolf this morning. Though only on chapter four, I've already been blown away by London's lengthy description of Wolf Larson's eyes and other physical attributes. Really great stuff. Will certainly post about the book when I'm done. I have thoroughly read and analyzed this book, to which I am currently writing a research paper about. I have found this book to be in abundance to classic philosophy and illusions that test a person’s own background knowledge. This book proves the writers ability to intertwine two very exclusive worlds together to capture a remarkable common trait; the power of brute and knowledge. One must acquire a balance of both to utilize the full potential within one’s character.